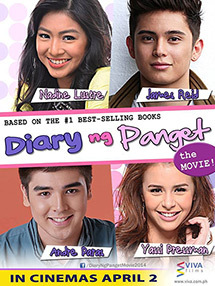 Diary ng Panget began its life as a story published on the online platform Wattpad. This film adaptation marks the local industry's entry into a brave new world of stories, largely detached from the traditional structures that decide what can and cannot be published. As it turns out, however, the story is fairly conventional, staying easily within the bounds of the local romcom formula. What little distinction or energy it might have is lost in translation, the lackluster direction failing to serve the material. Poor, acne-ridden Eya (Nadine Lustre) is a scholar at the very exclusive Wilford Academy. To make ends meet, she gets a job working as the personal maid of campus heartthrob Cross (James Reid). Cross isn't very kind to her, constantly making fun of her appearance and generally being a pain. But she sticks it out. Her proximity to Cross brings her all sorts of attention from the other students on campus. She soon gets caught up in the various romantic entanglements of the students of the Wilford Academy, all the while struggling to make sense of her own feelings for her new friends. Despite the newness of the medium from which this story is drawn, the narrative doesn't stray very far from established tropes. As in almost every other local romcom, the ultimate act of affection that wins a person's heart is spoon feeding that person some soup while he or she (usually he) is sick. If anything, the writing only differentiates itself by being sloppier than usual. The narrative is very loose, with subplots that lead nowhere and characters that exist solely to serve as plot devices. It feels hastily written, like a rushed first draft that never got the benefit of editing. The simplicity of the story is further undermined by the confusing direction. The film seems to struggle with staging a lot of of scenes, the punchlines lost in the odd rhythms of the filmmaking. A sequence involving the student council and their laptops baffled nearly everyone in the theater. A climactic masquerade ball provides neither the mystery nor the drama that it really ought to have had. I'm not very familiar with the source material, but it does feel like the production had real trouble translating the ideas on the page to the screen. The direction really fails the cast of young actors, who are acting their hearts out. Nadine Lustre exhibits plenty of potential in this lead role, showing a real knack for comedy while remaining grounded in character. James Reid occasionally trips over his words, but he's able to show off intriguing vulnerability. Andre Paras shows plenty of commitment to a somewhat goofy character. He struggles with the character's most pathetic moments, but he emerges as a talent to watch. Whatever youthful energy might be behind Diary ng Panget is squandered by the subpar direction. 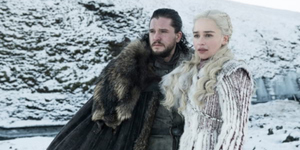 The looseness of the narrative might have even been an asset if the direction was more inclined to make bolder or more well thought-out choices about how it presented the story. It sometimes feels like the thinking stopped at getting stuff on camera, with little consideration for the rhythm of a scene, or the emotion that's meant to be conveyed. It's using old tricks where they don't necessarily apply.